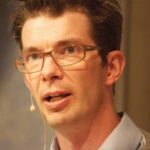 Marcus is the author of Salvation: The Bungsu Story, a book we here at the Scrum Master Toolbox Podcast are helping to publish. This book is inspiring, and will definitely move you to action. In this episode, we discuss some of the many techniques Marcus used in Indonesia while he was helping the team at The Bungsu Hospital literally save the hospital from bankruptcy. And that’s not an over-statement! Click to liste to the interview and read more about the topics of this episode. How Agile and Lean saved a hospital from bankruptcy! Twice! A few months later, and using Kanban, Agile and Lean ideas the hospital is saved. But how did that happen? Marcus explains his story, and the amazing transformation in his latest book: The Bungsu (now available for pre-order at Amazon), and we have a short video to explain the main points of the story right here. Click on to see the video, and sign-up to get the first chapter of the book. Continue reading How Agile and Lean saved a hospital from bankruptcy! Twice! Posted on May 28, 2018 April 10, 2019 Author vascoCategories BlogTags agile, coaching, Kanban, lean, marcus hammarberg, salvation the bungsu story, the bungsu, the bungsu hospital storyLeave a comment on How Agile and Lean saved a hospital from bankruptcy! Twice! Work life is a serious thing. We spend (at least) one-third of our time awake at work, and in some cases much more time than what we spend with our families most days of the year. Now imagine what would happen if your work would be falling apart. You have too much work, and are being constanly interrupted. Your authority and ability to contribute is undermined. And on top of it your place of work is literally crumbling: the roof collapsed and what is left is being innudated by dirty water that runs off from the roof’s debri. Meet Ibu Elsye! Ibu Elsye is the lady dressed in black in the picture or “Mrs.” Elsye if you don’t speak Indonesian ;). 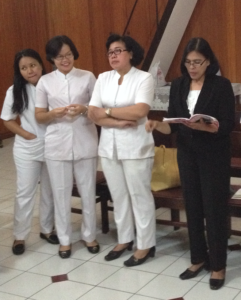 She’s General Manager of a hospital, Rumah Sakit Bungsu (aka The Bungsu), that Marcus Hammarberg helped, in Indonesia. General Manager; what is that, in a hospital? I’m happy you asked: basically she’s in charge of everything that is not health care. Food, laundry, maintenance, security staff, drivers … you name it. In The Bungsu, if you need something fixed – go to Ibu Elsye. 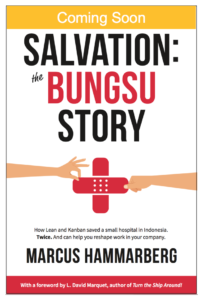 When Marcus Hammaberg first started to work with the Bungsu hospital they were in a devastating situation. Their finances were on a bottom low after years of decline of patients visiting, their operational permit had not been renewed and they were operating on a probation, the staff was disengaged and blasé … oh, that’s right – the roof of the entire second floor had collapsed.